Hi all! When I took a break from the blog after Little Lady was born, I never intended to be AWOL for so long, but here we are. The main reason I haven’t blogged (aside from adjusting to life with a baby again) was that I wasn’t sure where to start. I didn’t think that I had anything interesting enough to say or pictures that were cool enough to post (and I wasn’t cooking all that much so I had no new recipes to share). I just sort of waited until something interesting happened, and you know what? Life happened and I realized that life, no matter how normal or mundane or uneventful is kind of interesting on its own. I woke up this morning feeling the urge to write again and I thought, why not start today? I still don’t know that I have anything all that interesting to share, but I thought it might be fun to get back to what I intended this blog to be in the first place, a creative outlet to share the things that interest and inspire me. So here we go. Looking back, a lot has actually happened since I was last here. I became an aunt again (yay!!! 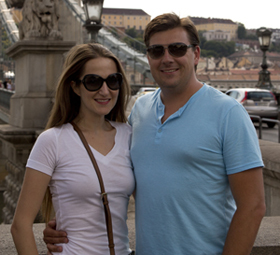 ), I struggled – and continue to struggle – to lose those last few pounds of baby weight (boo!!! ), I’ve been on several family outings, designed some new furniture, moved around a bunch of furniture in my house to make room for our newest family member and spent lots of quality time with my little tribe. I can’t even begin to tell you how much the baby world has changed since I first became a mom more than a decade ago. I feel like I have been learning all of this baby stuff all over again. I mean, when my first was born, you weren’t supposed to expose them to anything peanut related for something like three years and now according to this article they want you to start at 6 months -and even earlier if you have a history of peanut allergy in your family. And that was one of the simple changes! Anyway, as I take the blog back to my original intent, I’m going to be sharing a lot more about the things that I like and what/who inspires me, and musings from my life at home and at work. In other words, I’ll be flying by the seat of my pants and taking you along for the ride. And judging by the sweatshirt I’ve been wearing way too much lately (which you can see below – its sold out but they have a similar one here), it could get a bit crazy. Hope you enjoy! 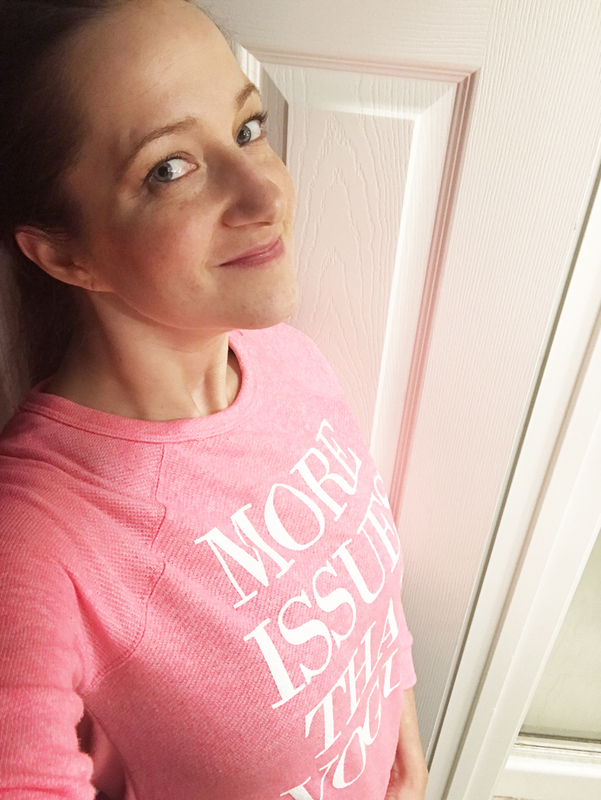 My sweatshirt proudly proclaims “More Issues than Vogue” because I’m all about telling the truth.